D'tails Dog Salon is North West Portland's premiere low volume dog salon and home to a multiple award-winning dog groomer. Located in the Alphabet District on NW Quimby in the Activspace building. (Close to Wonder Puppy.) 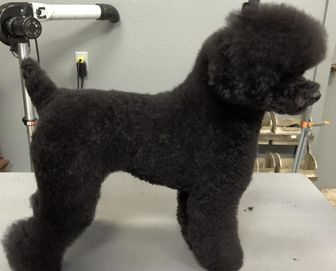 We are a state-of-the-art grooming facility specializing in canines under 30lbs. We provide grooming in a calm, quiet and loving environment. Pets are groomed by appointment only so that they are the only pet in the salon. We strive to return your pet to you as soon as possible. We offer a wide range of dog spa services including smoothing nail filing, hydro-therapy, and paw treatments to compliment our full service grooming. We pride ourselves on our ability to groom pets to look like their breed as well as deliver cute personality pet trims. We use high quality products that are earth, people and pet friendly. We carry special products for those wishing to go more green. Appointments available online. Most questions are answered on the website. Additional help by phone, EMAIL and text message. We hope to have the privilege of meeting you and your pet very soon.